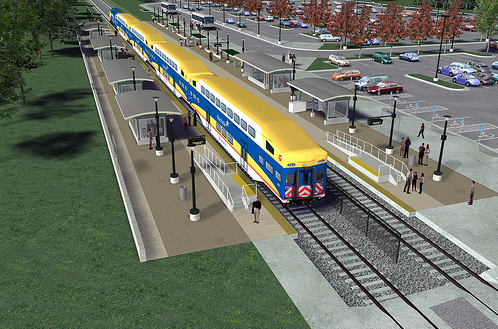 Logan Nash, a student in Doug McGill’s journalism class at Carleton College, has written a piece titled In the Obama-Era, Plans Revive for a Northfield-Twin Cities Rail Line (PDF – full text below). See the Dan Patch commuter rail line/corridor web page on MNDOT’s site for more info, as well as the Northstar Commuter Rail Line website. 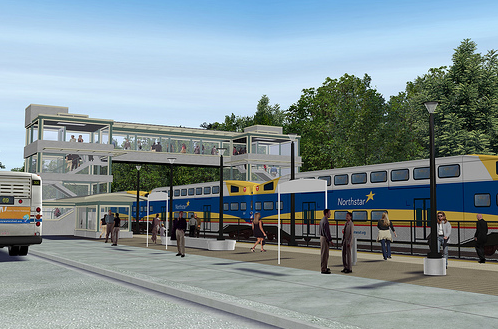 With the national economy still a giant question mark, Northfield community leaders are pushing ahead to revive a long-delayed project to build a commuter rail line that would link the town to the Twin Cities metropolitan region. The national economic downturn is precisely why a serious reconsideration of the commuter line, called the Dan Patch Corridor, is especially warranted right now, the line’s advocates say. “It would create jobs, it would put people to work, it would make the community more attractive,” said Rep. David Bly, Northfield’s representative in the Minnesota legislature and a strong proponent of the line. Bly and his state Senate counterpart, Kevin Dahle, sponsored a proposal in this year’s legislative session to remove a 2002 ban on study and discussion of the route. They did so at the behest of Northfield constituents and community leaders, as well as the Twin Cities Metropolitan Council, the transit planning agency serving the seven-county metropolitan area. The legislation was stopped in conference committee, but many Northfield leaders remain committed to bringing some form of reliable alternative transportation to the community. And according to Northfield City Council member Kris Vohs, the Obama administration, which has made infrastructure a priority, has potential to help this effort. Northfield’s demography and geography make it an ideal destination for a commuter line from the Twin Cities, advocates say. Located on the southern fringe of the Twin Cities metro, it has both a small town, tourist-friendly feel, and the cosmopolitanism provided by two prominent liberal arts colleges, Carleton College and St. Olaf College. Bly points out that the rail tracks for the proposed line already exist. As recently as the 1960’s they supported passenger service, but the line is now only being used for occasional freight, according to Vohs. The tracks simply need to be upgraded to support a safe and reliable commuter rail corridor. And the project would create new jobs and improved access to all communities on the line, stimulating economic growth. Other commuter rail lines are already either in planning or under construction in different parts of the metro area. The Northstar Commuter Rail Corridor, running from downtown Minneapolis to Big Lake in the northwest metro region, will open next year. According to Metropolitan Council projections, the Red Rock Corridor, linking the Twin Cities to the town of Hastings, to the southeast, will be the next priority. Technically, however, the Dan Patch Corridor can’t even be discussed by the metro region’s planning officials. That’s because in 2002, legislators from the southern suburbs, under pressure from constituents living close to the rail line, pushed through a ban on construction, design, study, or even discussion of the route by the Metropolitan Council. According to Bly, this lack of dialogue about transit options for the area is the real problem. “I just want to get people talking,” he said. Bly introduced his legislation to overturn the ban after hearing directly from constituents, and after reading a January editorial in the Northfield News newspaper that was critical of the ban. The Metropolitan Council was eager to see another transportation option made available for discussion and, together with state Democratic leadership, the council supported Bly and Dahle in their effort to remove the discussion ban. Debate in the legislature was intense. Opposition came largely from the same southern suburbs that killed the corridor six years ago. Legislators from these districts questioned the overall cost and financial structure that was proposed to pay for the route, and pointed out constituent concerns about proximity of the commuter rail tracks to residential homes. Sen. John Doll of Bloomington, whose predecessor, Sen. William Belanger, was a sponsor of the 2002 ban, said that he originally was open to the idea of reopening discussion. But he finally concluded that it wasn’t worth the money after considering pressure from residents and the high cost of the line. Sen. Geoff Michel of Edina emphasizes the negative response from nearby homeowners. “Feedback from Edina and Bloomington constituents was loud and clear,” he said. “Surprise, anger and fear that this issue was coming up again. Michel added that earlier studies had concluded that passenger rail did not make sense for the corridor. Yet Vohs, who has been involved in the previous studies, said that his sense was that these investigations were stacked against the corridor from the start. He suggested that a fresh look is necessary. Bly argues that a transit project would provide fresh economic stimulus and jobs in an economy in dire need of both. In addition, Bly says his priority isn’t necessarily getting the Dan Patch Corridor built in its current form, but rather simply encouraging dialogue about getting new forms of transit into the area. In the end, the legislation to overturn the 2002 discussion ban on the Dan Patch corridor made it through both the House and Senate, thanks in part to a Democratic leadership friendly to the idea, including House Transportation Committee chair Rep. Frank Hornstein. Yet the bill was eventually rolled into the session’s omnibus transportation bill, where it was quietly deleted when the conference committee reconciled the House and Senate versions of this large piece of legislation. “You can pass a bill on the floor of the House, you can pass a bill on the floor of the Senate, and then it can just disappear” said a frustrated Dahle. 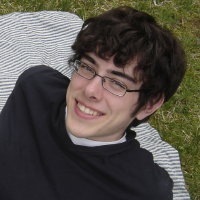 Bly has two explanations for why the legislation to lift the 2002 discussion ban met such a sudden demise. The language was going to be line-item vetoed by the governor anyway, some sources told him, so it was simply removed. Other members of the legislature have said that blocking his move to lift the discussion ban was a reward to Rep. Ron Erhardt of Edina, a Dan Patch opponent, in return for his support of the larger transportation package. In either case, Northfield community members in favor of the Dan Patch commuter line proposal have not given up on the hope of better transit access to the Twin Cities. Northfield’s two colleges, whose students mostly do not own automobiles, are both eager to see some sort of commuter rail come to the town. The two colleges currently cooperate in providing bus service into the Twin Cities, but rising fuel costs have forced them to cut down on the number of scheduled runs in recent years. The solution, Campbell says, is to create a dedicated commuter line like the Dan Patch Corridor. This would bring Northfield commuters together with college students and employees to share the cost of providing effective and frequent transit. According to Campbell, what the colleges are presently paying for intermittent bus service could easily be shifted to some kind of transit such as commuter rail. “It’s great if there’s another reason to come up here,” said Gina Lovestrand, manager at the Monarch gift store in Northfield. Jerry Bilek, owner of bookstore Monkey See, Monkey Read also favors the corridor. “I think in general, rail and other forms of transportation should be a solution to our problem right now,” Bilek said. Bly and Dahle say they plan to bring up the ban in next year’s session. Wow! That rail sounds really cool! Though, I wonder if it would mean a huge population boom for Northfield. I don’t know how I feel about that. However, public transportation rocks, and I bet there are a lot of commuters and college students who would ride that thing all the time. I know I would have LOVED to have a rail like that when I was in high school. For being someone who “temporarily” lives in the city, the light rail would be possibly the most brilliant thing to happen to me and my home life. I could be so much more self-reliant as far as getting back to Northfield, instead of relying on friends and parents to get back for holidays and events. Right now, I have a pass that I have paid 83 dollars for, and it’s good for the entire school year, and I can use any metro transportation with this pass. I plan on getting these for as long as I live up here (which will probably extend past my college years), and the benefits would be invaluable, even when I do get my own car, especially when visiting family (since I don’t see them moving anywhere any time soon). The thought of only spending 83 on transportation while I’m living here thrills me! This probably won’t happen when I need it the most, but I sure hope it does. The list goes on but the common threads are the high population numbers all along the planned lines. There is discussion of doing express bus routes at some point along I-35W south as far as Faribault. There also is an approved Cedar Avenue transit plan http://www.metrocouncil.org/directions/transit/transit2006/CedarBRT.htm that calls for expanded bus service down to Farmington. The bottom line is that the Dan Patch line doesn’t now offer the numbers of riders that would make light rail realistic in the next 30 years. Also, areas north of Northfield have been working together for decades on plans and routes along I-35 and Cedar Avenue. You will have to give them a good reason to consider another option that may not work as well for them. Rep. Jim Oberstar of Duluth is the key player on this at the national level, and his office could offer some real information about Northfield’s prospects. It also would behoove local folks to get involved in the Dakota County and Met Council planning, since the highly populated areas to the north will determine where the routes to the south will go. The immediate economic stimulus potential of infrastructure spending on creating jobs can happen since there are already projects on the table. The next step is to do a round two including such projects as the Dan Patch. Start now! While some are dreaming of a rail transportation alternative for Northfield and the Downtown, others are perhaps inadvertently working against its full potential. Here’s what I mean. Imagine a 200 car commuter rail parking/station location either north or south of the city. Then upgrade the existing downtown historic train depot for a ‘short stop/pedestrian only’ station. Regular commuters have a place for their vehicles and visitors and tourists end up right downtown. Now imagine the potential for development in the downtown in the area near the old depot (Q-block, etc). Imagine (without the train horns) condos and affordable apartments along both sides of the track, and 3rd St from the tracks to Hwy 3 as a plaza, and a parking ramp in the surface lot behind the Eagles Club and The Ames Mill (half a block from Bridge Square. Two things need to happen on our end: get serious about installing the necessary crossing upgrades so the freight trains running at all hours of the day and night don’t have to blast their high decible horns (to the detriment of economic development and sanity). And stop any more silly planning for a liquor store on either of the prime locations of the Q-block or The Crossing. Remember the Council decision to give up one small but critical (now access blocking) section of the otherwise intact right a way along the tracks behind the Amcon station -cause we’ll never need it?! A commuter line from Rochester to Mpls via Owatonna, Faribault, Northfield, Lakeville would pick up throughout our region. Various ‘express’ and ‘locals’ trains would allow reasonable travel times – think 60 seat business class cars with coffee and laptops, and 90 seat commuter/student/leisure passenger cars, special trains for events (DJJD, Riverwalk Arts Festival, Winter Walk), etc. I think that we escapees from the Metro area who still have to commute or willingly seek easy occasional access to entertainment and culture in the Metro will be the driving force behind commuter rail. And in return others in the region will Discover Northfield. The previous foes of light/commuter rail options wanted more roads and freeways, but that is no longer a viable option because of lack of land and cost of fuels. And arriving at one’s destination safely, relaxed and after maybe meeting someone new… is an old idea whose time has come again. All Aboard! Previous Nfld City Engineer Heidi Hamilton did a lot of work on train horn noise amelioration. Ray Cox originated the 3rd St plaza idea (I mistakenly said 4th St in my previous post). And I would revise my last line to read ‘…an old idea whose time has come again’. …I’ve been hearing tales about Northfielders taking the train, including all the way to California, for twenty years. I attended a community economic development conference up in Minneapolis last week. So many people said they’d love to live in Northfield, but just couldn’t handle the commute, and asked me about the train. In these tough times, we shouldn’t be asking for a pork-barrel project. David, not only would this be seen as pork, but it could be seen as presumptious given that Northfield has not joined in the long and difficult regional planning process. Perhaps the first step is to form a community transportation team and get involved in regional transit issues. Technically, Northfield isn’t part of the Met Council area, but there’s no reason a delegation couldn’t get involved in the public discussions. Same with the Cedar Avenue planning process. David L.: You say pork-barrel, I say infrastructure. And according to some economists, like Nobel laureate Paul Krugman, government spending on infrastructure is the kind of economic stimulus we need right now. And with commuter rail, Griff can seek his entertainment in the Cities and still feel frugal. Rob: The “Bridge to Nowhere” is also infrastructure. The state has bigger problems then getting Griff to the Cities. Taking care of our existing infrastructure should be a top priority. David, I knew you would have that sort of response to my comment. I don’t know why I even rose to the bait. But how else am I to entertain myself in this economy, if not by engaging in long arguments on LoGroNo? Rob: I consider it a pork-barrel project because the train wouldn’t provide much benefit for its cost. David L, you are correct that ensuring there is funding for existing infrastructure is a priority. I’d go farther to say that any new infrastructure needs to have dedicated/endowed funding set-aside for ongoing maintenance. But, I also believe that rail service to Northfield would be quite an economic boomlet, especially given the high concentration of “office” jobs in the Cities versus here in Northfield. I lived for 10 years along a train line to Chicago, taking it daily to my job. My wife’s hometown used the be the last stop on another line to Chicago. I can tell you that properties closer to the stations in both of those towns are much more expensive than those farther away….the market says it’s very desirable. As for the cost/beneift justification…no transportation infrastructure pays for itself using first-order calculations. If you use that logic, you wouldn’t build roads or bridges either. In that experiment, cars were equipped with computers that sensed the space between them and the cards around them. They also “found” cars going to the same place as each other and formed mini-trains. The great feature was that the drivers did not steer the cars! Traffic jams are a result of responses to actions of other drivers. If you can remove the driver’s input from the car, you can virtually eliminate stop and go traffic. That kind of a system would be better for all, as it is the combination of personal convenience and rapid transit. Of course, DARPA has just funded technology that allows cars to drive over rough terrain at 40 MPH without any driver input! See Wikipedia on driverless cars. Excellent comments from all. The really great thing about a Dan Patch line is that it should not take much if any government assistance, unlike new light rail and heavy passenger rail service. The Dan Patch was a self-powered passenger car. It traveled on regular freight rail lines under its own power and made stops as requested. We still have much of the rail line/easements in place. All that is needed is to go arrange for the service and go through the permitting and regulatory process. This is a perfect example of how private business can step forward and address a need. About the only real government issue is getting things changed to allow it to be discussed and considered. Then it sounds like a good visit is in order with Progressive Rail. If a solid rider base can be put forth I would think they would be open to operating a line like this. Sounds like the Dan Patch would be comparable to the North Star line, which is opening to Big Lake and will run to St.Cloud, all on existing rail lines. They have customer counts, construction and operating figures. They have tons of data and most of it is online. Rob: Sounds like Ray knows a lot more than I. Well, I did some research and it seems there’s some support in the southwest burbs, although closer in, denser communities who pushed for the gag order still are opposed. It seems it might be a good time to team up with the line’s allies and at least see what can be done. Seems the Met Council is open to the idea as well. For comparison the 40-mile Northstar line to Big Lake is costing $320 million and is expected to serve more than 4,100 passengers a day — that’s 2.1 million rides a year. I say to some of you, be careful what you wish for. The bullying tactics of Progressive Rail to transform our area into the showplace of the Midwest for corn ethanol are still very fresh in my mind. I, too, question that the rail transit line would be the best expenditure of funds (what funds?) in these lean times. A little history on the original Dan Patch line. Can’t believe I’m writing a comment here, but the Dan Patch rail line is something I feel is long overdue. In case anyone hasn’t noticed, there are a lot of grey haired people, including myself who are living in Northfield, and desire transportation to the cities. My age and mostly my eyes limit driving at night, and my speed on the freeways make the other drivers wish I had limited my driving during the day. It is only going to get worse as our population ages. People like me, along with commuters and students would be just the beginning of growing interest in a rail line. I hope we join with all the other counties and cities along the line and over-ride Edina’s power in the legislature. We have two Democrats from Northfield, shouldn’t that count for something? I think we should have a Dan Patch Day….and have all train loving people clog the halls of the legislature. Everyone else does. All aboard!!! Thanks for an excellent article, Logan. Good comments too. Commuter rail would be a great boon to Northfield and the region. A few months ago the Strib had an article about the Metropolitan Council being reluctant to add more commuter rail projects, but maybe it is open to rethinking that, as Ann indicates. It sounds like our legislators are in touch with them; others will have to be as well. It sounds to me like we need a city Transportation Commission to help push for this project, Hwy 19 improvements, and more. I hear a lot of grumbling about these and other transportation topics, but I’m not always sure how much action is being taken. Maybe start a separate thread on that topic, LoGroNo folks? Although I’m a big rail advocate, commuter rail would change Northfield a lot, almost certainly pushing up property values, for better and for worse. It would also bring new and different people into town. Life as we know it would change. It would be in the interest of the business community to support commuter rail, in my opinion. You’d have a lot more people visiting town, and tourism would go up. Companies would be more likely to locate here because getting back and forth to the Cities would be easier. Can you help us out with a Dan Patch Exhibit? Dan Patch was the celebrity athlete of the early 1900s. He’d race before crowds of 100,000 (thanks, wikipedia). My stepmother has a Dan Patch endorsed toy wagon which got from her family from growing up in Pittsburgh. She brought the wagon to be seen by the “Antiques Roadshow” people when they were in the Twin Cities a few years ago. The show people were very interested, saying they wished they had seen the wagon earlier in the day. Apparently they had already filmed an item in the same genre, so it didn’t make it onto the show. Check with the City of Savage before promoting a new Dan Patch Day. They already have a community celebration of the same name. I don’t think they have it copyrighted, however. I would be really curious as to how many people live in Northfield, that would actually use the rail? It is my understanding that rail lines closer to the Twin Cities are heavily subsidized just to stay alive, that despite a much larger population then we have. I commute to work outside of Northfield, but the line would do nothing for me? Making Northfield more accessible to MSP would also invite unwanted elements in to Northfield. Do we really want inner city problems to come to Northfield? One of the things I like about Northfield is the fact that it is quiet and serene and relatively safe. The Dan Patch line isn’t a reality. Let’ s try for another route which doesn’t go along the suggested “Dan Patch” line. Eagan has a few undeveloped areas, and there is the new Elko four lane highway, why not combine new projects with a new transit line. We need more public transit routes. People want a reliable means to get to work– this is even more important in a bad economy when the jobs may be elsewhere and the gas is too expensive. With a national debt projected to go to over 15 trillion dollars, we simply can’t afford more pork projects. Anyway, the Eagan, Lakeville, and etc. idea probably would push through at the Capitol better than the Dan Patch. Forget Savage, Bloomington, Edina, etc. Maybe someday those areas will see less growth due because of a resistence to such projects. Let’s bring the newness and the jobs over here. We also used to live in Savage (first married) and they love their Dan Patch days. BTW–You can still see where the old race track is via aerial view. In Illinois, freight lines operate via the behest of the government of the people and are, or at least were, at some time in the past, required to also operate a commuter line simultaneously, whether or not it be profitable. Bright, I wish we could go back to that time. Railroads have gained too much power in recent years. I think it was Oberstar that had a bill to require them to meet certain expectations regarding freight charges, etc. Progressive Rail threatened that if we did not take the corn ethanol plant, they would force other even more polluting businesses to the location by the old Comus crossing, like fly ash storage silos and collection point for pelletizing metro wastes. Any fond memories of railroads have all but vanished from our horizon. What’s interesting about this history is that the Twin Cities streetcar system was a *private* system, a monopoly like Xcel or other utilities. It was heavily regulated but did not cost taxpayers a dime, unlike the road system that led to its demise. Some believe that with better management, part of the streetcar system could have survived even in the age of autos. People forget about the massive govt. spending required to create and maintain our road system – a huge government outlay. Even today it is not all paid for by gas taxes and vehicle fees; it’s subsidized by your taxpayer dollars whether you drive or not.